WiseLoop Server Monitor Application is an AngularJS module designed to act as a tool to check the online status of any server. The following section will show you how to integrate the provided AngularJS full monitoring application directive into your own projects. The sample above is available under the /sample/ directory of the downloaded package. The initial credentials are username: admin and password: admin. Even if most of the settings are pretty much self explanatory, some further explanations regarding the special formatting tags are probably needed. The "Daemon Settings" screen makes sense only if a daemon (aka. cronjob, scheduled task) is set at the operating system level. 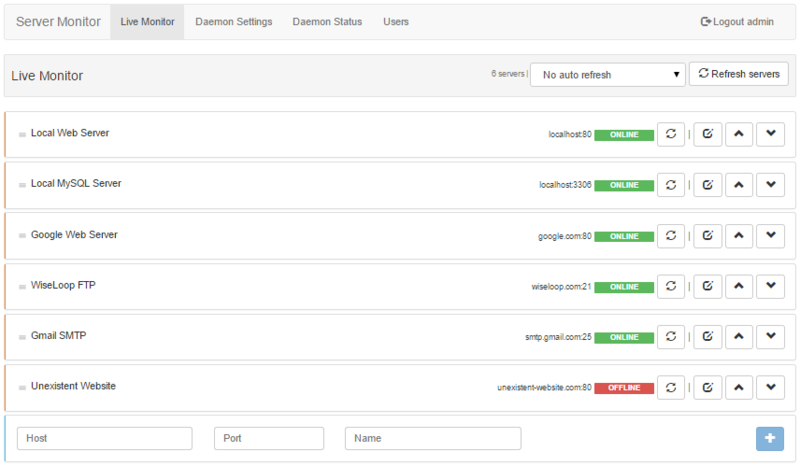 Please check the Setting up a daemon section the see how such a daemon can be set. 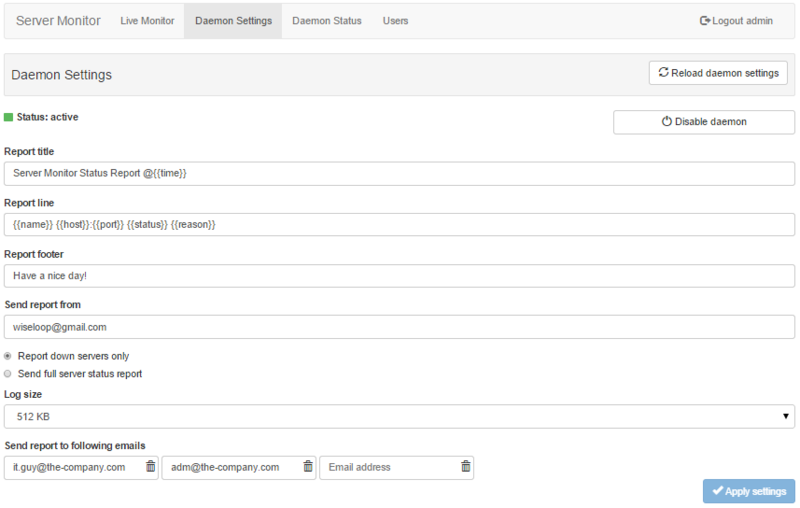 The runtime estimations are based on the previous runs and the log is trimmed to the size specified in the daemon settings screen. The "Daemon Status" screen makes sense only if a daemon (aka. cronjob, scheduled task) is set at the operating system level. If the current logged user has no user management rights, then the user list will contain only his name and he will be able to change only his name and his password. Affordable server monitoring software that allows you to check the online status of your servers. 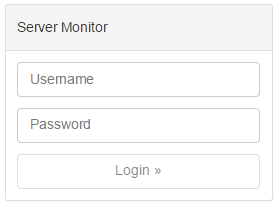 WiseLoop PHP Server Monitor can check status of any server types such as web servers, FTP servers, mail servers, SQL and NoSQL database servers, game servers, VPN servers, cloud servers, cdn servers etc. By setting up a cron job, the tool is able to send email notifications and server status reports so you will be always up to date regarding the online status of your servers. This system status checker tool is ideal for hosting providers, hosting resellers, IT systems administrators, database administrators, webmasters and can be used in any other scenarios where servers/services online status info is needed. "This is brilliant! Thank you so much. I’ll download it now and test it out."